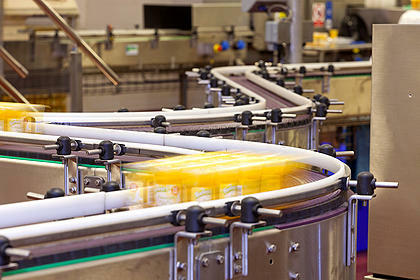 Nearly all conveyors require some form of guide rails. Whether this is required to closely control the product or just loosely retain it. 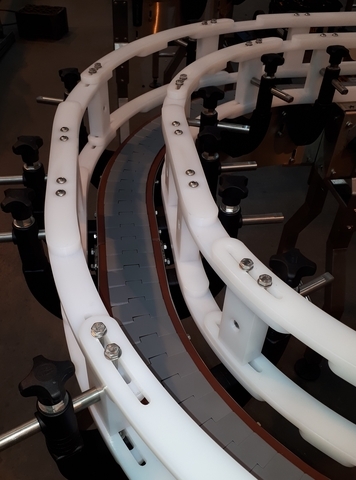 As a bespoke manufacturer, we fully understand each product is unique and therefore design each railing system to suit the product and application. 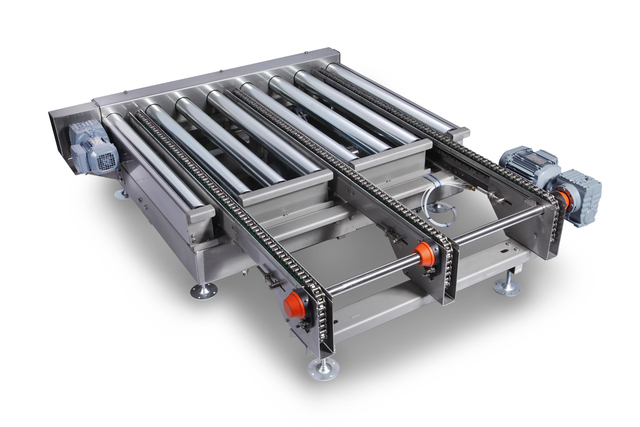 Over the past 40 years, Kensal has developed a broad range of stainless steel conveyors and continuously growing and developing this range has been at the forefront of our business. It's what we do! It's what we are well-known for. 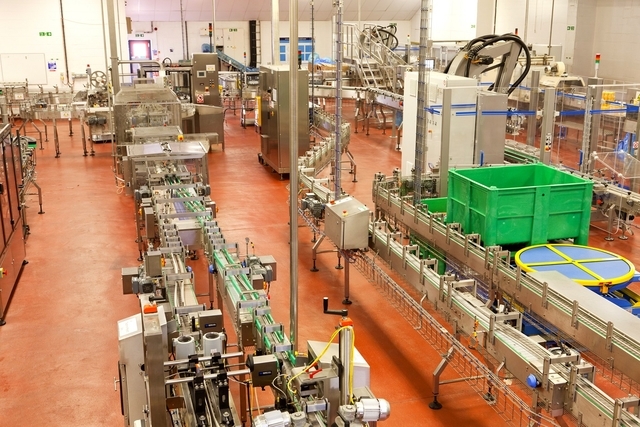 We have supplied many of the UK's major Blue Chip, high volume production facilities within the food and drinks market and we constantly strive to improve our range as new products and markets develop. 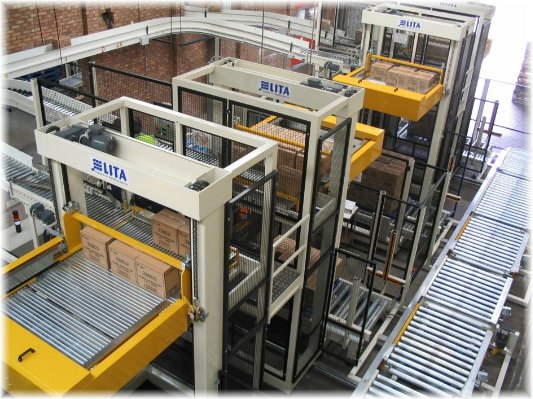 Kensal Manufacture a range of pallet handling systems to fit into any factory and handle a wide range of pallet sizes from standard Euro and Chep to in-house custom sizes or international standards. 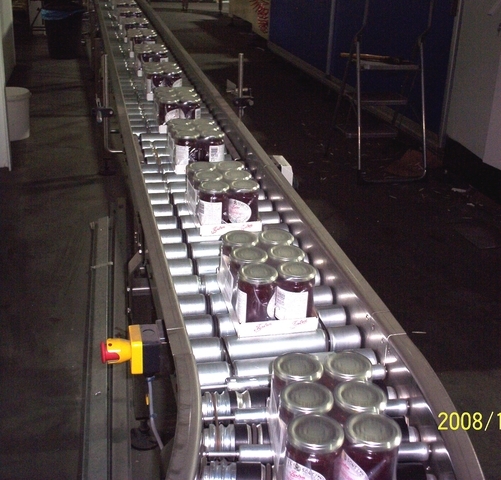 In house we manufacture roller, chain or HD modular belt systems, depending upon the application. One of Kensal's areas of expertise is end of line (EOL) palletising systems. For dough handling from the moulder, to rounder, through divider to pinning head. 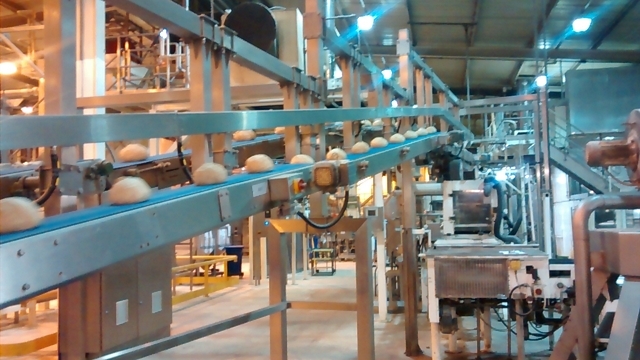 Kensal worked with a premium brand bread maker and leading belt manufacturer to develop a conveyor system that gently handles the dough with minimum shock and utilising belts with a surface to minimise sticking/product build up. 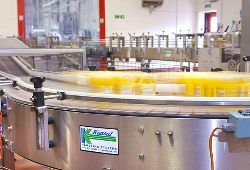 For over 40 years Kensal have been integrating equipment into new and existing food and drinks lines or installing complete production lines. With in-house Design, Mechanical, Electrical, Control and Project Engineers we can guide you through the entire project from initial concepts through design, manufacture, installation and commissioning. 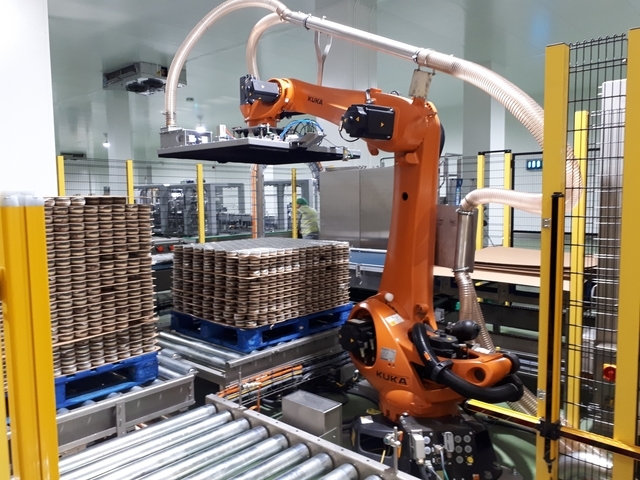 Kensal Handling Systems specialise in "integrating" all elements required to complete the automation of production lines, including Robotic Palletising and De-Palletising. With our expertise in conveying systems, product handling and project management, we have the "know how" especially for end of line systems. 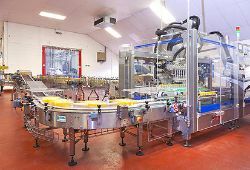 Kensal Handling Systems can provide bespoke systems designed for your specific application. 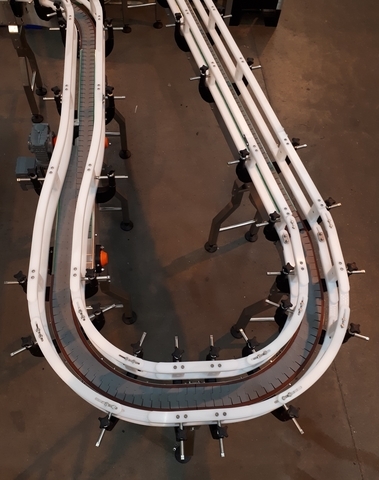 Whether designing unique equipment, working with advanced control systems or integrating with your existing manufacturing facility and control systems, we can manage the way through all aspects of design and implementation.